Inexplicably, it’s the last day of 2015. Every year it’s said and every year it feels truer: Where did the time go?! This year was tumultuous on a personal and global level so here’s to a more peaceful — but just as productive and progressive — 2016! Looking back on the past few months, we realize we have so many people to thank: For your contributions and good will, for your generosity and kindness and, most importantly, for your time. To our writers and contributors, you are Les Lolos. 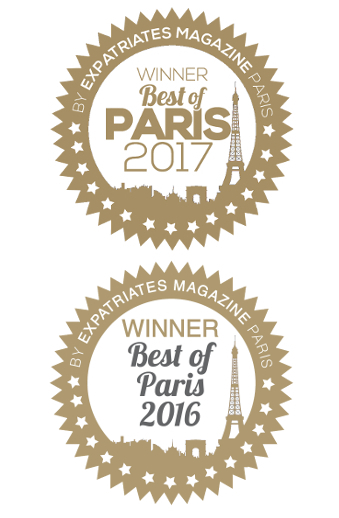 Your ideas, stories and viewpoints make us the coolest, sassiest, sexiest and most in-the-know international women in/of/from Paris! A grand merci to: Alex, Alia, Charlotte, Cliodhna, Emilie, Forest, Jessica, Lavonne, Nath, Poppy, Sara, Zoe. We are incredibly lucky to know you and work with you. To our readers, it’s cheesy but true: Without you, we are nothing. Or more to the point, without you, what’s the point? Thank you for reading, following, commenting and adding your voice to the conversation. We’ve been amazed by your support and growing numbers. Our driving principle has been to connect a community of strong, smart, modern women in (and out of) France — and it’s happening. Your enthusiasm and engagement are what makes this possible and enjoyable. Les Lolos is going full digital magazine in 2016. We’re excited for the evolution and can’t wait to see you in the new year. In the meantime, we’ll be raising a glass to you as we say adieu to 2015 and coucou to 2016!